The winter season is finally behind us (yay!) which means skin is returning to a not-so-constantly dry state (also yay!) The things is, lips are always in need of a bit of extra hydration- at least mine are. 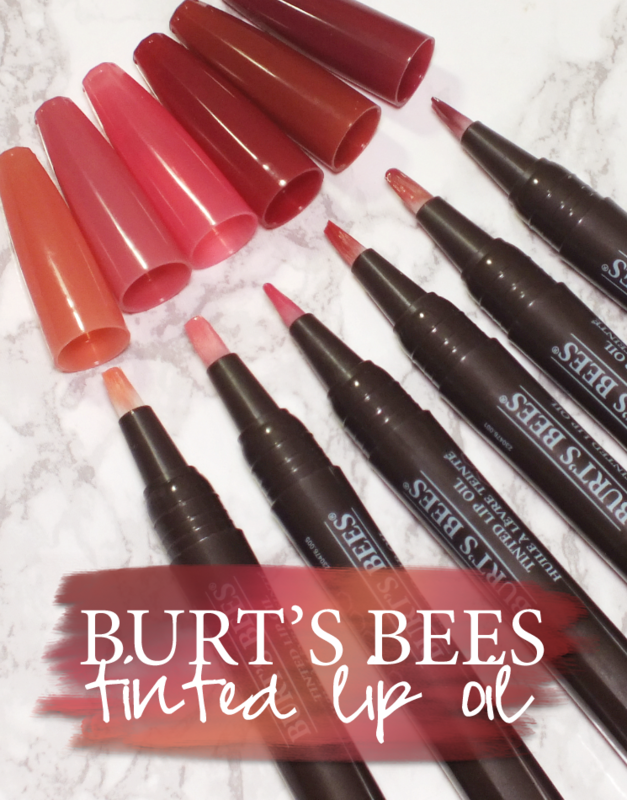 Balms are good, but I've come to really love lip oils as they tend to offer a lightweight texture but still hydrate to the hilt. 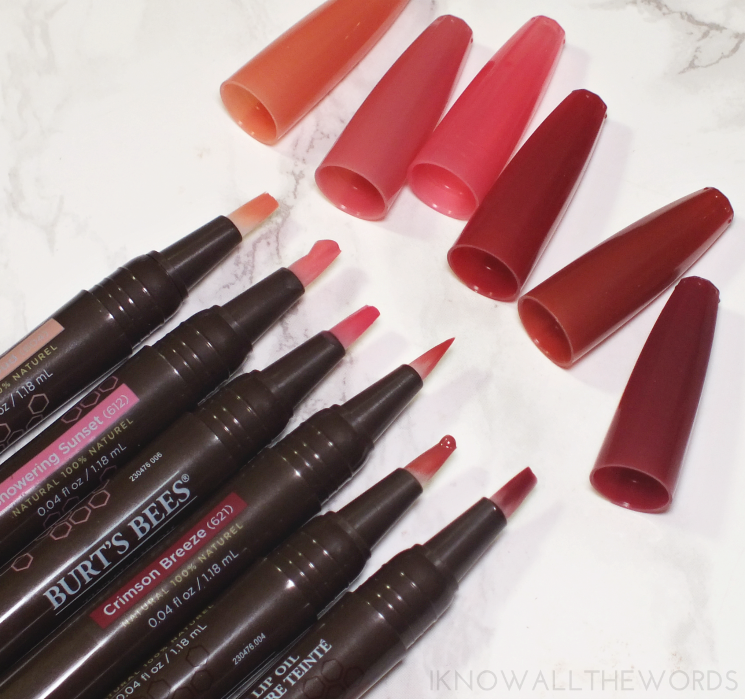 Burt's Bees has a new offering that is exactly that, and even offers a hint of colour in their Tinted Lip Oil. 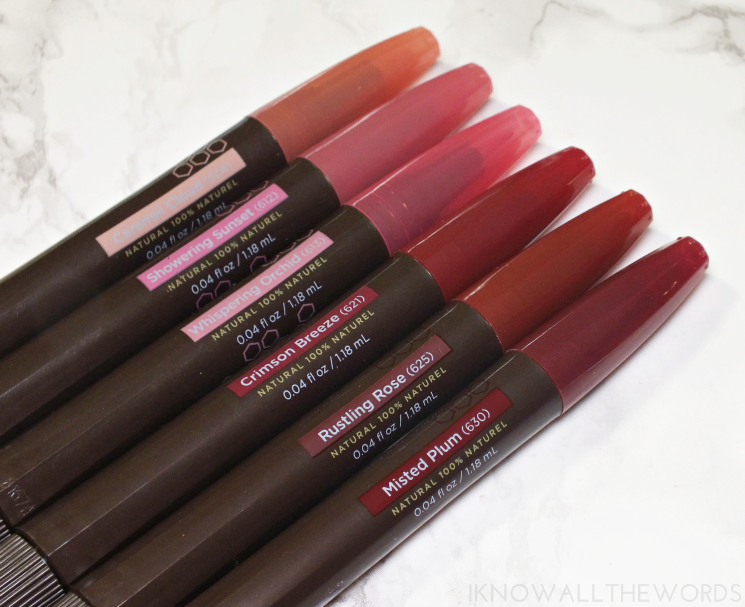 Housed in a 100% recyclable twist up pen, the Tinted Lip Oil is also boasts 100% natural ingredients. The lightweight oil features coconut and Meadowfoam seed oil and community sourced beeswax and a sheer wash of barely there colour to nourish, hydrate and protect lips. The lip oil is pretty much perfect as it feels weightless on and has zero tackiness. 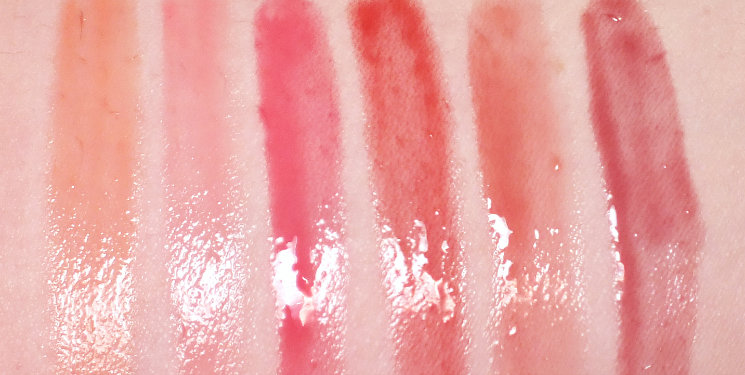 It's lighter feeling than your average balm, but incredibly hydrating.While there are six shade currently offered, the tint is very sheer- I attempted lip swatches, but the lighter shades all look very similar on lips, with the more red shades all looking quite similar as well. They do give lips a nice shine, and enhance your natural lip shade though. I love that you can swipe these on without a mirror and that they last about 2-3 hours without the need to constantly reapply since they do hydrate well. Overall, I'm a fan of these! I think balm lovers (and those with constantly dry lips) will be too. Glossy lips are said to be making a comeback, and these pair very nicely with a bit of lip liner for a more opaque shade. What do you think? tried these or want to?